I recently chatted about my adoration for the purple coat trend. The hue has also cropped up throughout the year as an It color on tops, bags, and shoes. 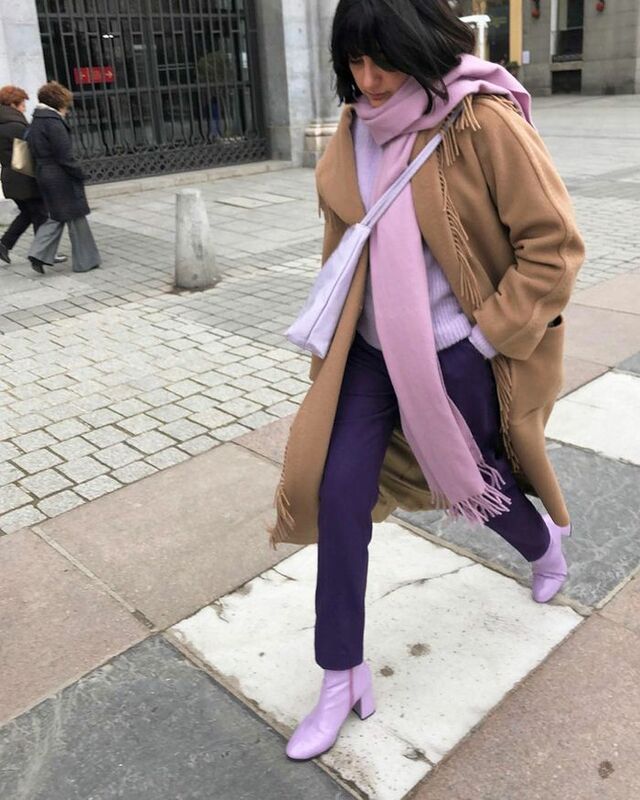 But after scrolling through Instagram this week, it’s evident that fashion girls are now all about purple pants. Now, I don’t know about you, but I never really thought about violet trousers compared to other styles. Aside from the colored denim trend from years ago, it’s never really stuck out in my mind as a must-try look. Other colors? Sure. We’ve actually seen yellow pants, cobalt iterations, and the like hit front and center thanks to the rise in popularity of highlighter hues. But alas, it appears people prefer purple pants now. It makes sense honestly. The trend is inherently statement-making, but also feels incredibly forward given the unexpected nature. To prove my point, I rounded up a few fashion people wearing the trend on IG. While the look hasn’t quite hit the mainstream levels yet, I have a feeling we’re going to see more and more people in purple pants as we dive into 2019. Colorblocking various shades of purple feels so right now, especially with the vibrant violet trousers front and center. You'll make an instant statement by opting for wide-leg purple pants with a crisp button-down and on-trend white booties. 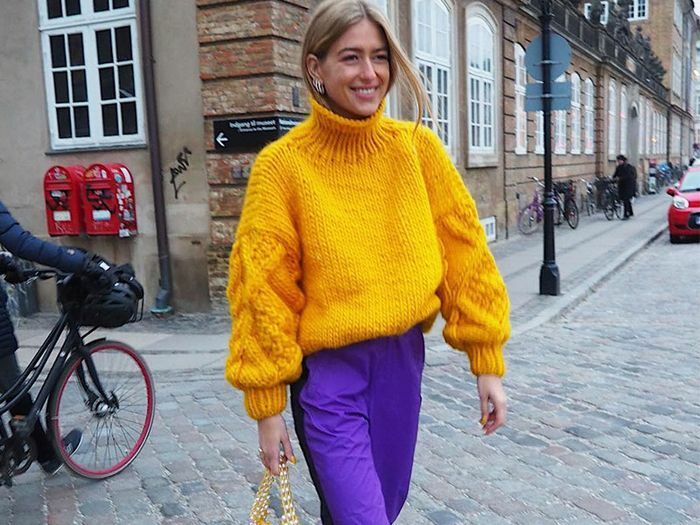 Sometimes it's best to just go for it and embrace color like this stylish 'fit featuring the bold yellow knit and purple pants. And here's Emili Sindlev again in another cool purple outfit with her puffer and coordinating joggers. Next, check out the best purple coats you can buy now.